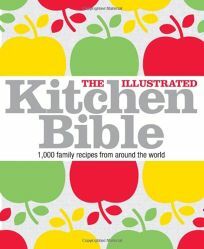 Veteran UK cookbook author and caterer Blashford-Snell (Diva Cooking, One Year at Books for Cooks) shares over a thousand recipes in this colossal ""category-killer"" dedicated to everyday food. Given the full-color, highly-informative DK treatment, each recipe is accompanied by a photo of the finished dish as well as at-a-glance information boxes with serving yields and approximate times. Those intimidated by the kitchen will find help in clear but detailed steps and straightforward, illustrated instructions for techniques like cutting up a whole chicken, prepping artichokes and making sauces. Blashford-Snell's catering experience is on display in the book's imaginative appetizer and ""party bites"" section; Wild Mushroom Tartlets, Chicken Liver Pate, Herbed Shrimp and Goat Cheese Wraps and multiple riffs on Croustades, a bite-sized bread cup filled with various savory creations, are easy to prepare and surefire hits. Every food group and cuisine is represented-from bread-making to burger-grilling to pad thai to Chocolate Bavarian Creams-and it's rounded out with tips on making grilled sandwiches and omelets, ""cooking for a crowd"" and working with leftovers, making it a fine choice for a first cookbook. Once they're comfortable, cooks should be tempted from their comfort zone with tasty variations, making this a go-to staple and a volume to grow with.